An easy, healthy snack that tastes like dessert and packs in protein and probiotics. 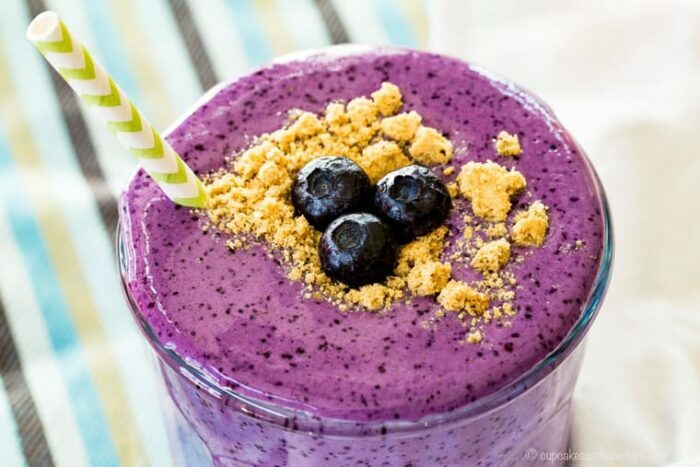 Blueberry Cheesecake Smoothie is a sweet and creamy breakfast or snack tastes like dessert. Adding cream cheese to a basic blueberry smoothie adds that perfect creaminess and tangy flavor you love about cheesecake. But instead of a rich treat, this is something you can have every day. Plus, by making it with Greek yogurt, you add protein and probiotics. 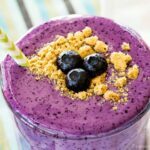 I’m sure you’ll agree this Blueberry Cheesecake Smoothie recipe is one of the best blueberry smoothie recipes you’ve ever made. Disclosure: This recipe was developed through a sponsored partnership with Digestive Advantage. As always, all opinions are my own. Speaking of probiotics, you guys, I eat a lot of yogurt. We’re talking a smoothie or two a day. Then sometimes a salad with Greek Yogurt Ranch Dressing or one of my other salad dressing recipes made with Greek yogurt. Then some cups of yogurt or plain yogurt with fruit as snacks. I have a bit of a history of a sensitive tummy, so I figure it can’t hurt to get in all the probiotics I can. These good bacteria do a great job helping to maintain the community of good bacteria in my digestive system. And not only do they help support digestive health, but they can also have immune system and other health benefits. Yes, you can definitely get probiotics from the foods you eat in your regular diet. Foods like yogurt and cereal are common sources of probiotics for many people. But here’s the thing. Not all those probiotics are going to survive the journey through the acid in your stomach for you to get the full benefit of lessening digestive upset and helping your body absorb more vitamins and minerals. 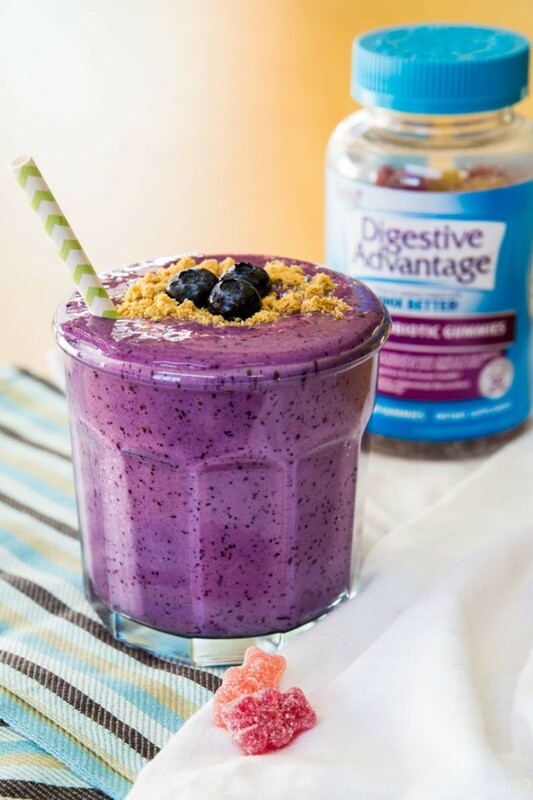 Join me in taking the Digestive Advantage Challenge. I’ll be on Instagram Stories sharing my experience with trying to eat those eight yogurts in one day. Let’s see if it’s something that even I can do with as much yogurt as I already eat. Or will I be happy to get back to my normal diet and just add a couple Digestive Advantage gummies to my daily routine? I think you can guess the answer, and I think you’ll be convinced to try Digestive Advantage yourself. 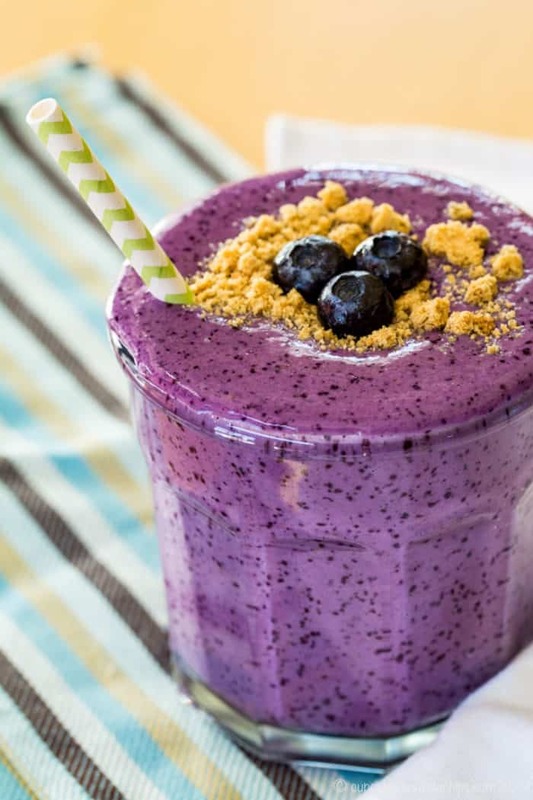 How do you make a blueberry cheesecake smoothie with yogurt? 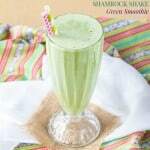 My Strawberry Cheesecake Smoothie has always been very popular. 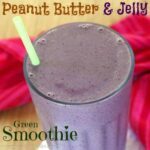 So I combined the flavors from that recipe with a few elements from my Blueberry Almond Butter Smoothie into one irresistibly creamy, dreamy concoction. You can start by putting a handful or two of spinach into your blender jar. This is optional if you want a little extra boost of vitamins and fiber. Add a container of plain or vanilla Greek yogurt. If you use plain, you might want to add a bit of honey or other sweetener and a tiny splash of vanilla extract. Pour in almond milk or regular milk, then add your cream cheese. Don’t forget the frozen blueberries. Finally, you have the option of adding a few ice cubes, depending on how thick or smooth you like your smoothie. Pour it in your favorite cup with a lid to take along as you run out the door to work or as you head off to run some errands. Or go crazy on a hot summer day and top it with whipped cream and graham cracker crumbs for a lighter version of a blueberry cheesecake milkshake. Then you are on your way to getting your daily dose of probiotics. But you only have two hands, so carrying your smoothie and another half dozen or so containers of yogurt just isn’t convenient. 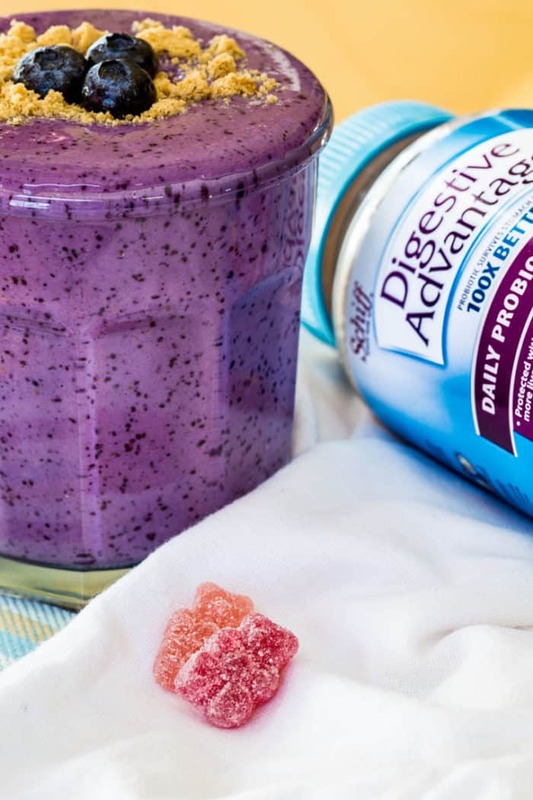 So don’t forget to grab two Digestive Advantage gummies to make it easier to get your probiotics! 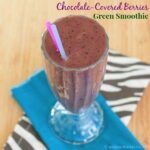 What are some other Greek yogurt smoothie recipes? When you add a bit of cream cheese to your basic blueberry smoothie recipe, it takes it to another level of deliciousness. That creaminess and tangy flavor make this a perfect real food way to have a healthy dessert. But with all the protein and probiotics, it is definitely a great recipe for a breakfast or snack when you are on the go. 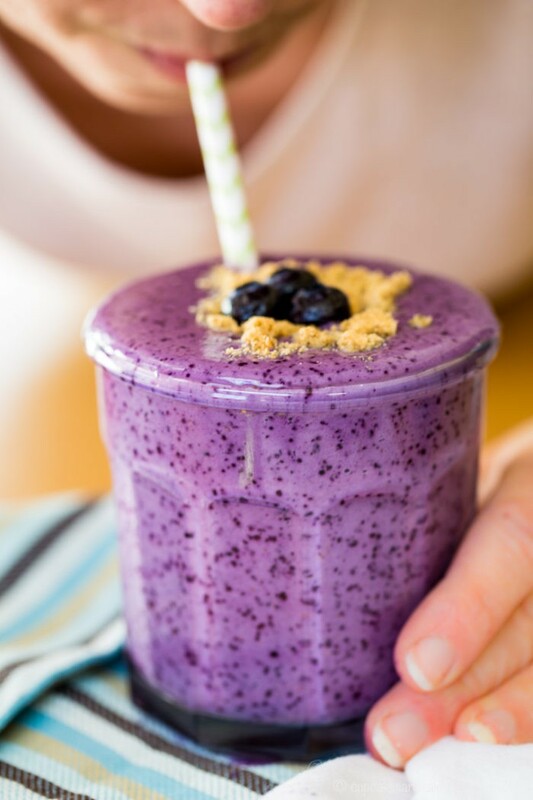 Indulge your sweet tooth and fuel your busy day with a dreamy Blueberry Cheesecake Smoothie. Add the ingredients to your blender jar in the order listed. Turn on the blender and blend until smooth. Sprinkle crushed graham crackers on top, if desired.